Darkhorse Tavern at 127 E. Calder Way in State College, Pennsylvania. If good and bad things really do come in threes, then the bar scene in State College appears to be living proof of that vague maxim. 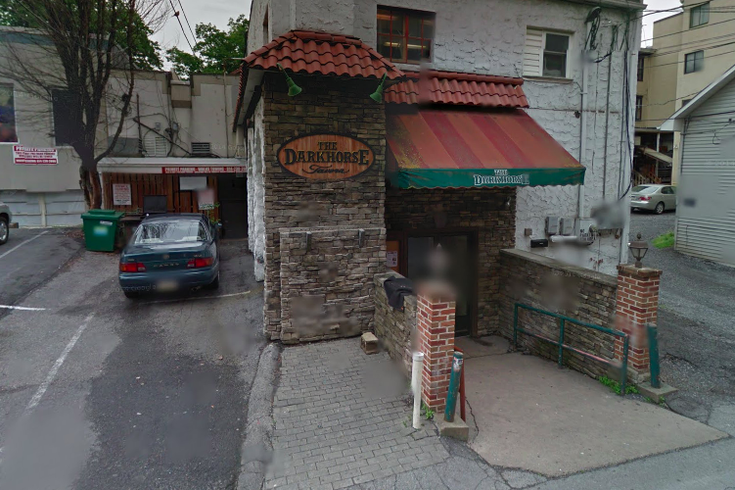 The Darkhorse Tavern, a popular place for locals and students to drink for more than 20 years, announced Tuesday it will be shutting down. It joins the recently shuttered All-American Rathskeller and soon-to-close Herwig's Austrian Bistro. In a statement on Instagram, the owners of The Darkhorse Tavern said the bar will be closing on July 15. "After many years in the hospitality industry, the previous owner has decided to retire," the statement on the bar's website read. "To our patrons, current and former employees, vendors and everybody who has called the Darkhorse theirs, we raise a pint to you. It has been a pleasure serving you for the last twenty years. Thank you." The closure is a far cry from the contentious end of the All-American Rathskeller, which opened its doors three days after the repeal of Prohibition and had been considered Pennsylvania's longest-running bar. In that case, new property owners allegedly rescinded a pledge to keep the bar alive under a renegotiated lease. The owners, restaurateurs Duke and Monica Gastiger, were compelled to let the bar go with a New Years bash. They have plans to open up a new market and restaurant, RE Farm Cafe, at their 57-acre Windswept farm in State College later this year. Commenters on The Darkhorse Tavern's Facebook page expressed sadness and thanks for the good times they had at the restaurant. Others begged for them to reveal their wing recipe. There's no word yet on what will happen with the property at 127 E. Calder Way.